Do you like spectacular fireworks displays, but hate the hassle that comes along with it? We're talking about the pet peeves of squeezing with the crowd, having handphones thrust in your face, getting your toes stomped on and bottlenecks everywhere while you're trying to make your way home - just to name a few. We feel you. Instead of being in the thick of action at Marina Bay or Sentosa for the countdown party, here's a list of free and relatively less crowded unobstructed spots to admire the dazzling fireworks showcase as you usher in 2019 with a bang. Plus, you can also take this chance to level up your Insta-game with new #hypebeast shots. Make your way up to the roof of The Esplanade in the evenings, where you'd be greeted by a tranquil site that is peppered with soft warm light, green foliage and landscaped gardens. 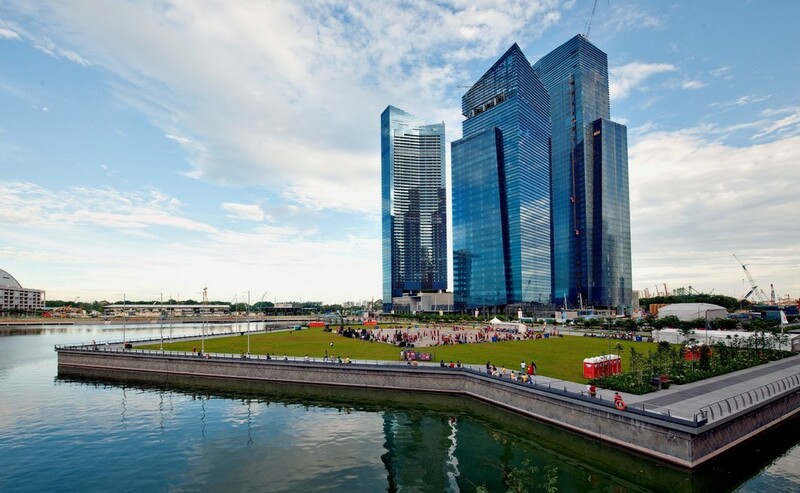 Best of all, this sweet spot gives a magnificent birds-eye view of the city skyline and Marina Bay. While waiting for the perfect explosion of colours in the sky, you can also chill and dine at the many bars around the area. Nestled in the Central Business District, this large green event space is the prime spot to be for the perfect view of the fireworks. Here, you get an unobstructed panoramic view of Marina Bay Sands, The Singapore Flyer, ArtScience Museum, Clifford Pier and more. Make a day out of it and set up a picnic with your family and friends while you wait for the fireworks. 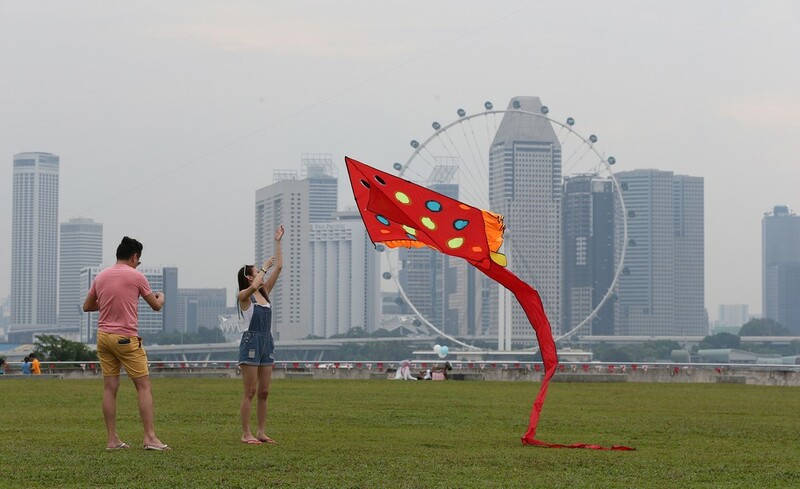 Fly a kite and play a game of frisbee while you're at it. However, this popular location might get crowded, so it's advisable to get to the venue early to snag a good spot! 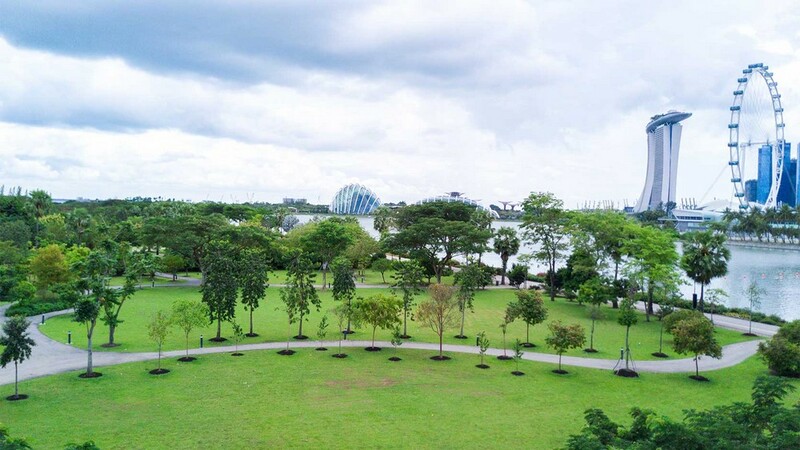 Another great picnic spot you can explore is the Marina Barrage. This sprawling rooftop garden is an appropriate distance away from the madding crowd, but is still near enough for you to catch the visual spectacle from the Countdown party. Also a popular destination for kite-flying, kids can expend their energy here while couples get to enjoy the cool breeze as they lie on the manicured lawn. One thing to note however: Although spacious, your view might be slightly obstructed by the Marina Bay Sands building. Small price to pay, right? Although the Helix Bridge is the best spot to be, given that it's positioned just beside the floating platform, it's also going to be crazily packed. 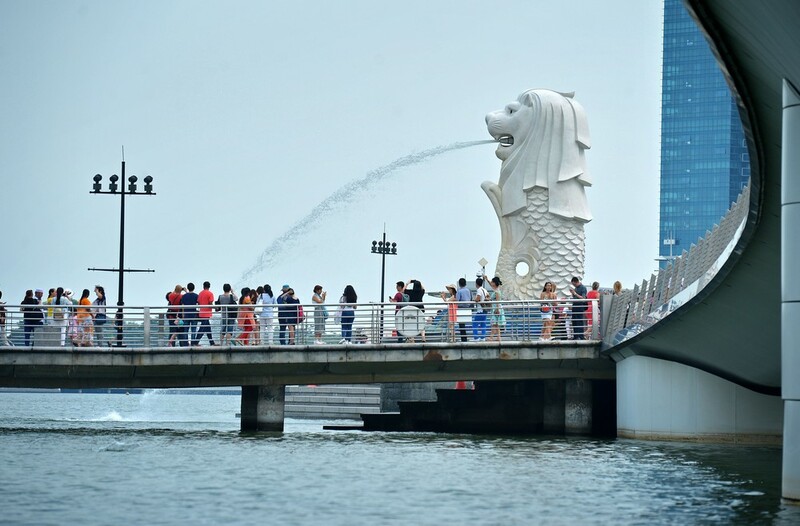 Try the Jubilee Bridge and Merlion Park for an equally picturesque view and say hi to the iconic 8.6-metre tall Merlion which spouts water from its mouth into the bay below. The spot won't be very comfortable - you might find yourself standing for hours as you wait - but the amazing pyrotechnics display will be worth the effort. This somewhat-secret spot situated opposite the Supertree Grove, the Cloud Forest and Flower Dome is a popular location for couples, cyclists and runners. 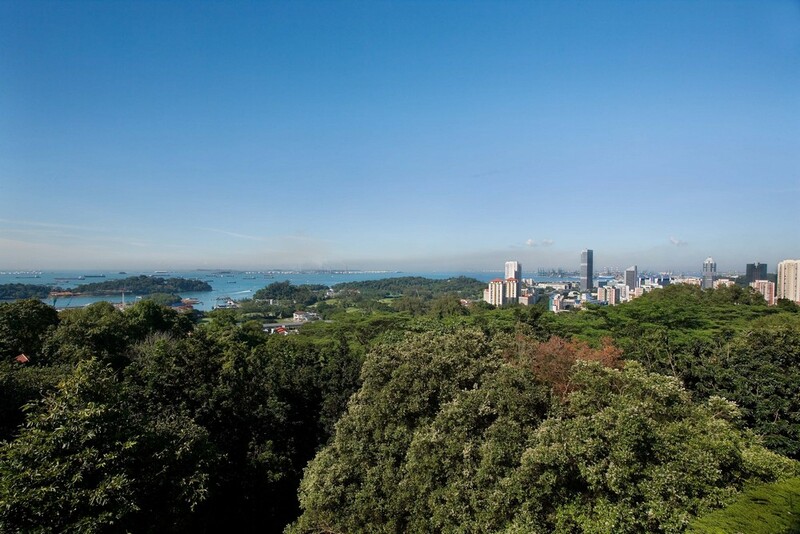 Offering sweeping views of the Marina Bay skyline, the beautifully landscaped space is a tranquil respite. There are acres of space along the 2-kilometre-long promenade, so you don't have to fear jostling with the crowd. If you prefer heading down south instead, another fantastic venue to camp out at is VivoCity's outdoor decks, where you can get a lovely view of the fireworks from the Siloso Beach party. While waiting for the stroke of midnight, go for a shopping spree, have a nice meal at VivoCity, and take a stroll along the 300m waterfront boardwalk that has a panoramic view of the sea and Sentosa. If you have young kids, they would also be thrilled to take a dip at the sprawling rooftop pool while you take a coffee break. If you're looking to unwind with a few drinks, there're also plenty of bars around. 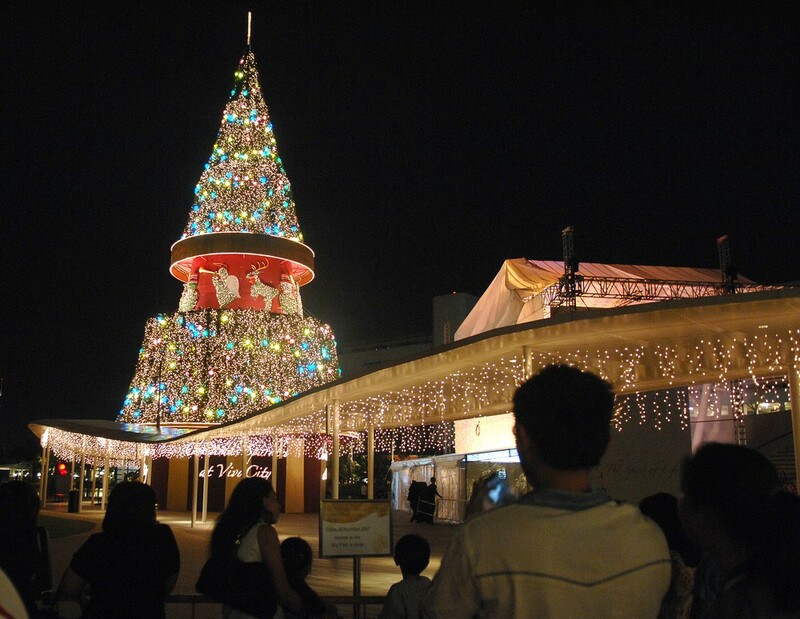 Located in the Bukit Merah area in the central region of Singapore, the peak of Mount Faber, Faber Peak, is a great choice if you want to avoid the crowd and take your fireworks experience to new heights. If you're feeling adventurous, you can try hiking up on foot. Otherwise, it's a quick 5-minute car ride to the top from its base. Standing at 106 metres above sea level, you can count on this hilltop destination to grant you a good view of the picturesque fireworks show. What's more, it's going to be a refreshing experience to get away from the hustle and bustle of the city. Before that, give their restaurants - Dusk Restaurant & Bar and Arbora- a go. Surrounded by lush greenery with a selection of Western and European cuisine and great sunset views, it'll be a romantic end to the year.